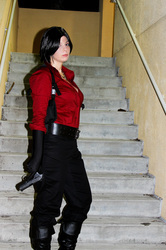 This costume I put together for a Resident Evil panel I was co-hosting with a friend. 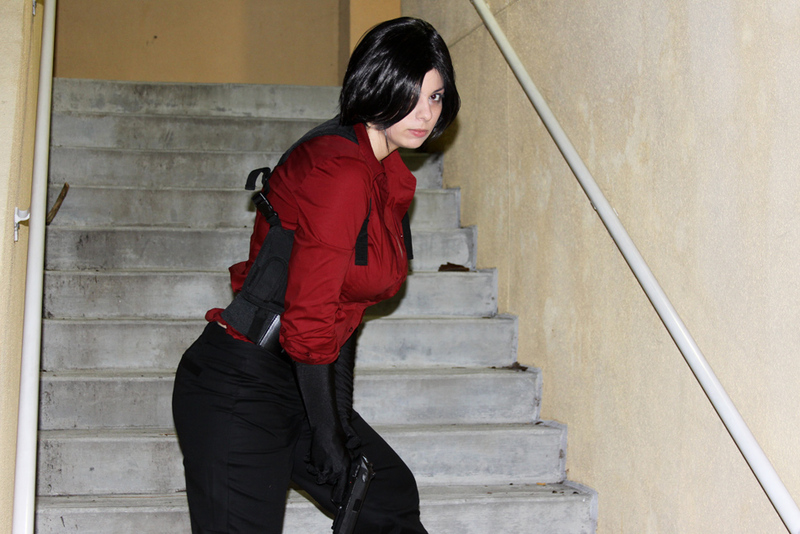 I was a huge fan of Resident Evil growing up and was super excited about Resident Evil 6. The top was bought from Victoria Secrets and modified to fit the similar style of Ada's. The Gloves were actually ones I had from a previous costume. The Gun holsters were borrowed. The pants were actually purchased as part of my work uniform. The necklace was purchased off Amazon and modified to resemble Ada's. The belt and boots I already owned.